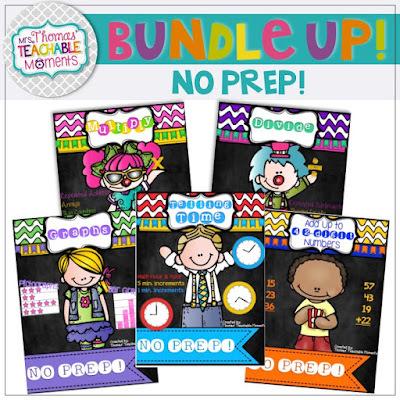 Mrs. Thomas' Teachable Moments: Final May Currently/Teacher Appreciation Sale! 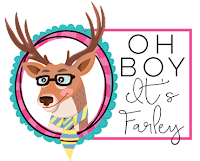 I am sad to say that this is the final Currently with Farley from Oh Boy! It's Farley! Thank you for such a fun linky party. It gets me thinking and reflecting each month, and I have enjoyed being a part of it. With that, here is my last Currently. A fun bit of news, however, is that this is Teacher Appreciation Week! 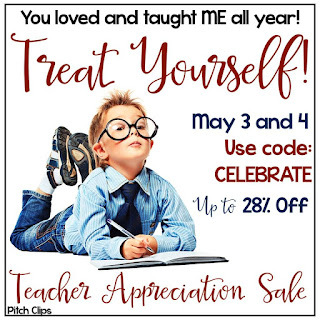 I am excited to tell you that TeachersPayTeachers is going to have a Teacher Appreciation Sitewide sale May 3rd and May 4th. I don't know about you, but my wish list has SO many items waiting that I can't wait to purchase when they are on sale in a couple of days. What is sitting in YOUR wish list on TPT? Here are the top three items in my store on teachers' wish lists. 1. NO PREP! 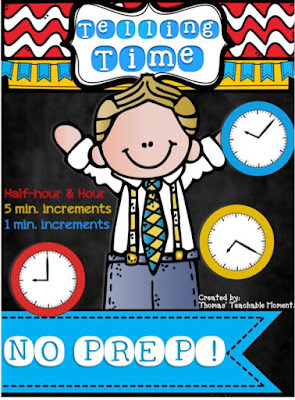 Telling Time - this was featured in the TeachersPayTeachers Newsletter and is the most popular item in my store. This packet is 56 pages and takes telling time one step at a time! It begins with telling time by the hour and half-hour, then moves to telling time by 5 minute increments, and ends with telling time by the minute. This item is full of fun, engaging activities for students. 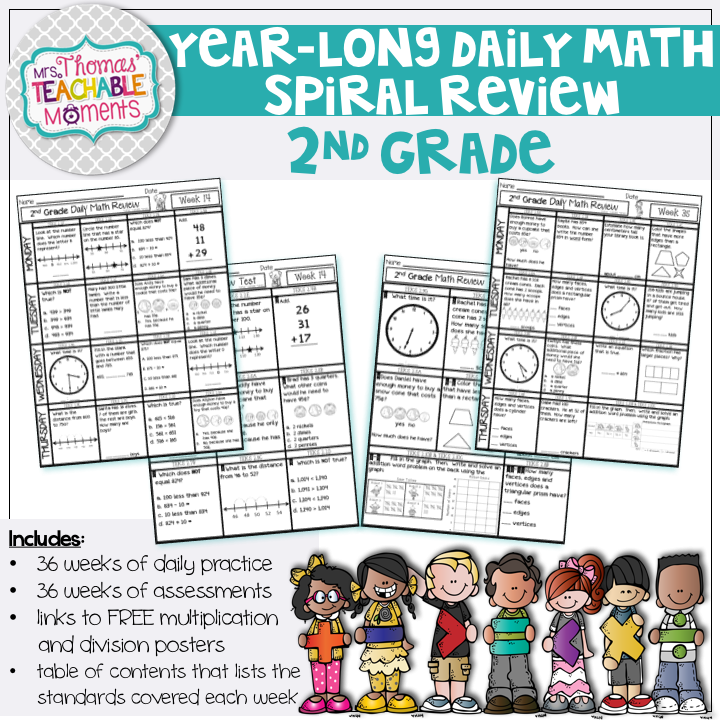 It works great for whole group, small group, and math centers. 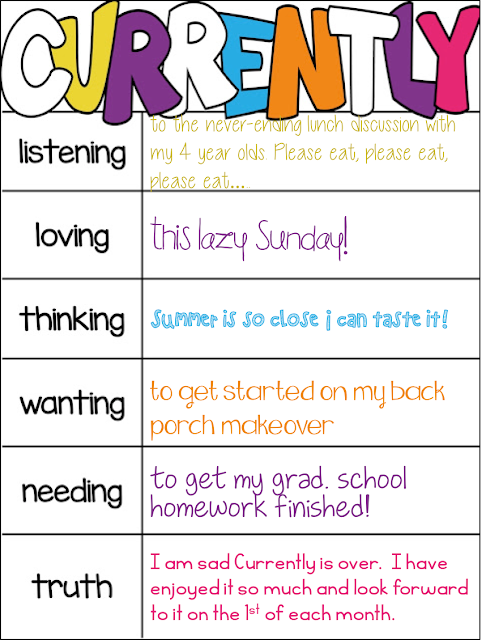 It's also a GREAT tool for older kids during intervention. Click on the picture to see more about it! This item is actually part of a line of NO PREP! items. I also have NO PREP! 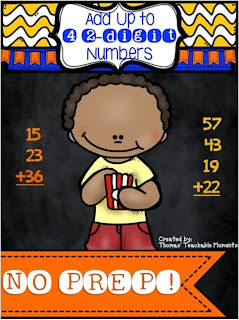 Adding up to 4 two-digit numbers, NO PREP! 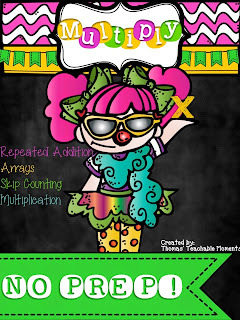 Multiplication, NO PREP! 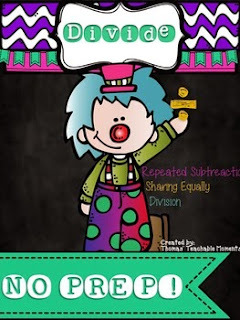 Division, and NO PREP! Graphing. I also have all 5 of them bundled together so you can save even more!! 2. 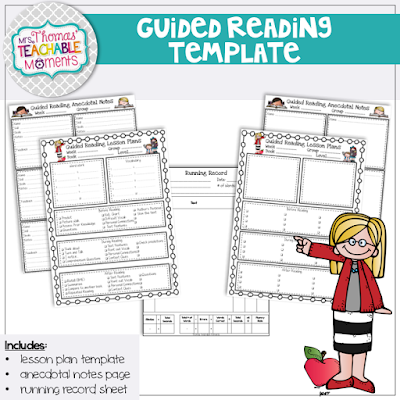 The second most wished for item in my store is my Guided Reading Template. It has been recommended by reading specialists! I recently added to this product, so if you already own it, go back to My Purchases and re-download it for free! 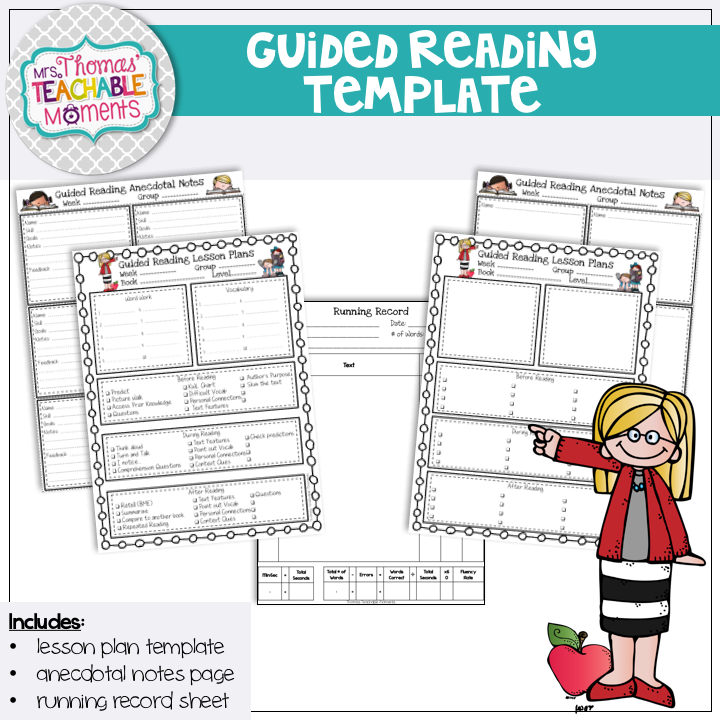 If you don't have it yet, it is a system that is quick, easy and VERY handy to help you plan and keep documentation of your Guided Reading Groups, as well as give your students immediate feedback and goals. I also added a running record sheet that has a fluency calculation formula at the bottom. Click on the picture to grab this awesome item. 3. 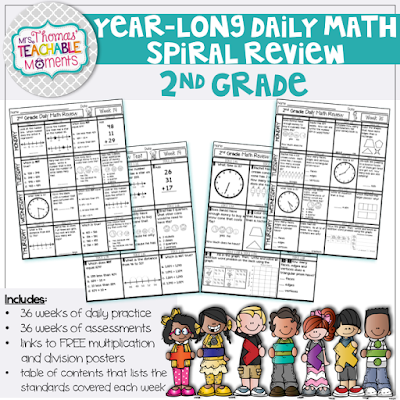 The third most wish-listed item in my store is my Year-Long, Daily Math Spiral Review for 2nd Grade. This NO PREP packet includes 36 Monday-Thursday review sheets and 36 Friday Assessments. The standards are listed for each individual question on each day. There are index pages of the standards reviewed broken down by week, and links to 2 FREEBIES for posters that compliment these reviews. Check it out! Thanks for reading my currently! 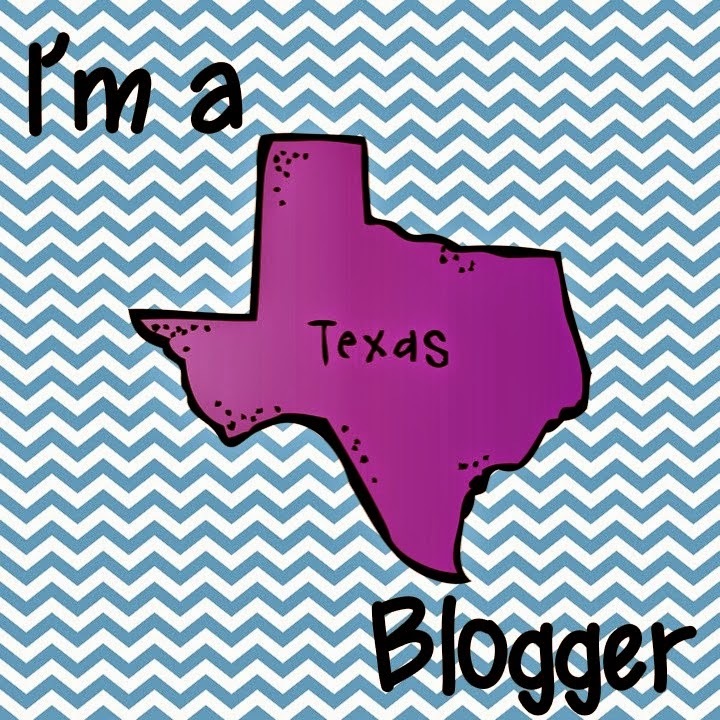 You can follow my blog by using the follow me on the right side of the page. Have fun shopping this week! Maybe some of these fun items will end up on YOUR wish list! I am sad she is ending Currently too.....but I can understand. Good luck on your porch makeover--just in time for summer!! My plans for summer are not as ambitious as yours! My biggest plans at the moment are my friend's wedding, books, and the beach! You'll need to post before and after photos of your porch on your blog! Good luck with your porch...our back patio is next up on the renovation list...I will be so happy when everything is DONE! I'm happy to a teacher who has found a life balance as I believe and is ready to share his wisdom with younger teachers. I can already see that the worksheets previewed in the article and are really worth trying. 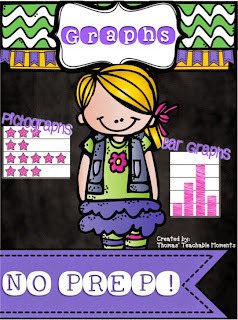 The pictures on the worksheets are just amazing and will be a great fun factor for students. I wonder if you could give any advice on what websites could older students visit to find essay writing service online , because online education is also a great toll of motivation and encouragements to learn.